Generally speaking, Mrs. Selfish and I are bad tourists. 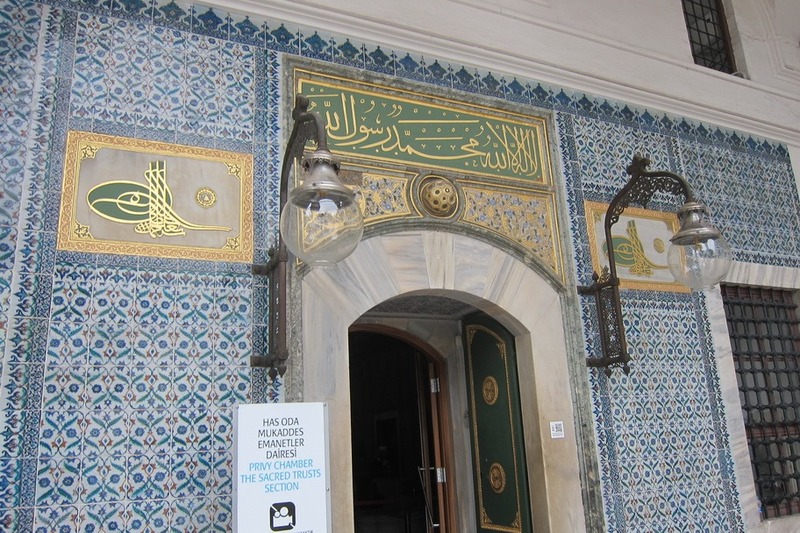 We like to hang out in a foreign city to soak up the ambiance, but we rarely spend much time in museums. Just haven’t built up the endurance, I suppose – I similarly get exhausted shopping for more than an hour or so. That being said we do like to walk, especially in the old parts of town. 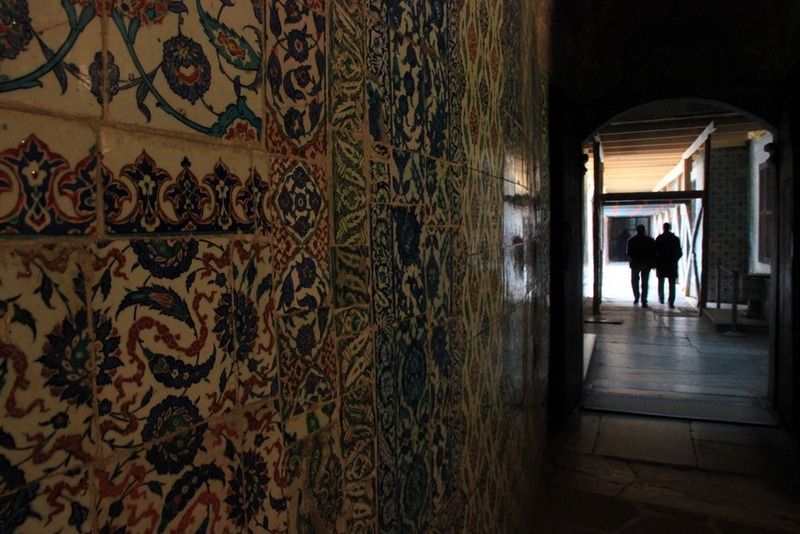 There’s just so much to do, see, smell, and eat that you miss out on with faster modes of travel. 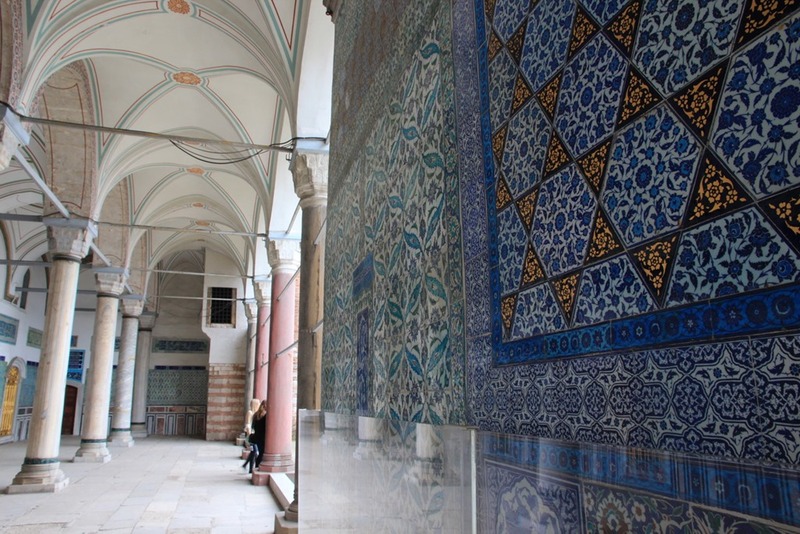 And so it was that we decided to stroll on over to the Topkapi Palace and Basilica Cistern, two Istanbul attractions that get a little less love than the big boys. 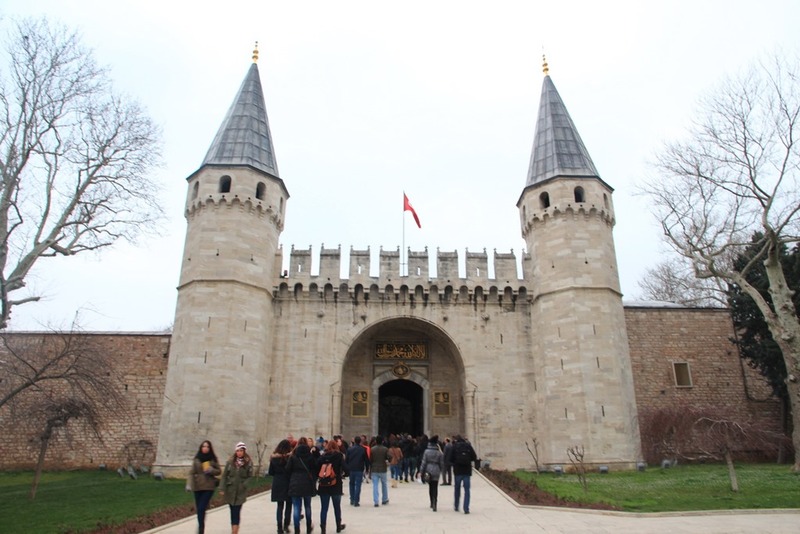 The Topkapi Palace was constructed in the mid 1400’s, and was the primary residence of the Ottoman Turks for over 400 years. 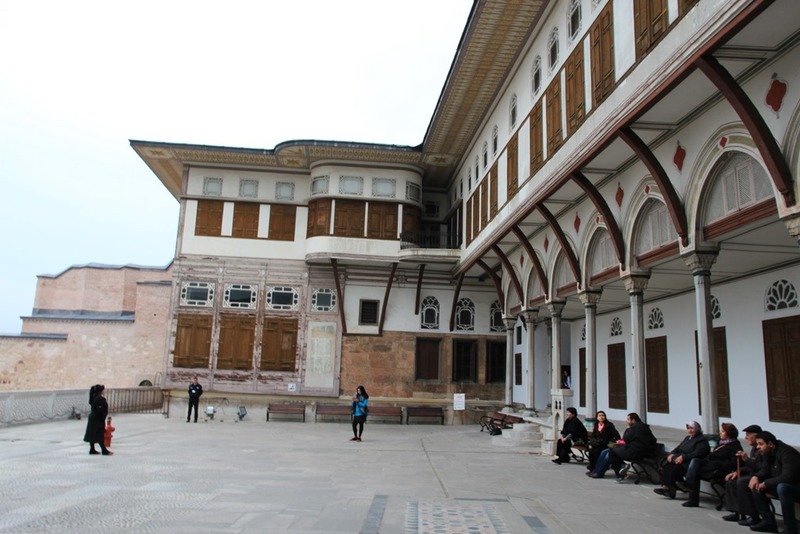 It’s a large complex with 4 main courtyards and several small buildings. 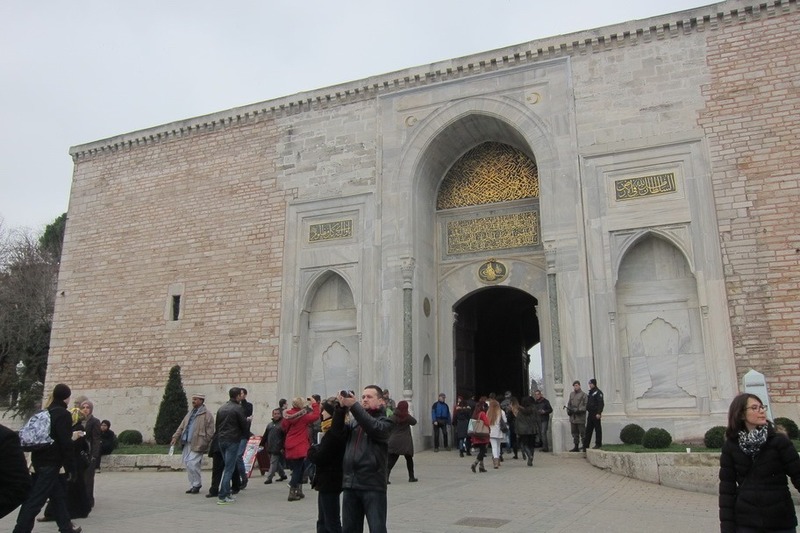 It’s not Versaille big, or Forbidden City big, but it would probably take you a good 15 minutes to walk from one end to the other. 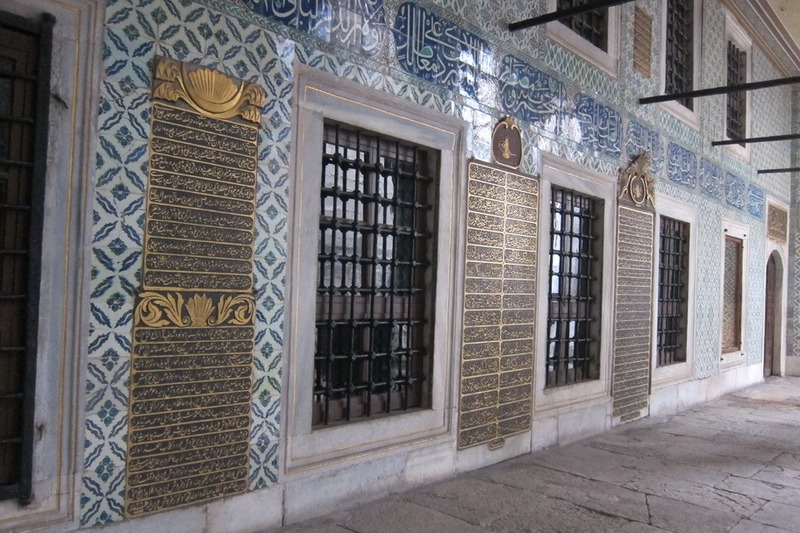 Less than a 10 minute walk from the Hagia Sophia, the Topkapi Palace is definitely worth a visit – especially for the low, low price of 25 Turkish Lira (~$12 USD). 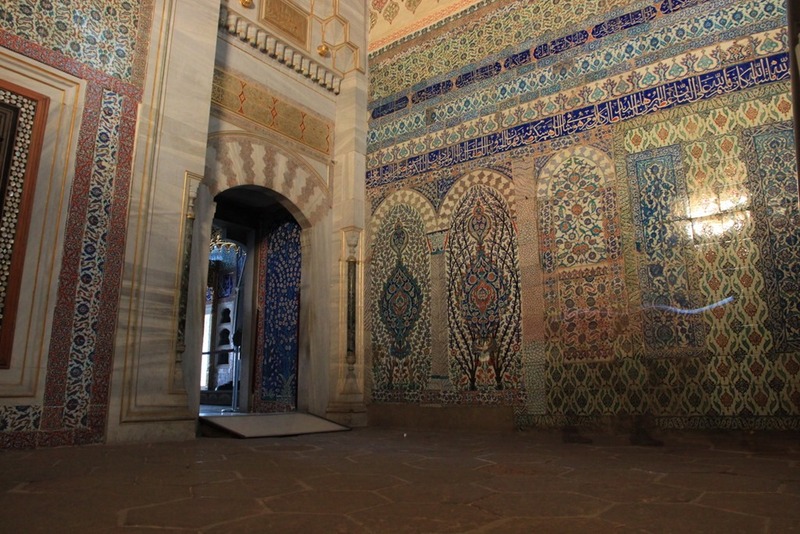 We went on a rather dreary day, but it was still rather beautiful, especially if you are a fan of tile work. Unfortunately, Mrs. Selfish and I showed up rather late in the day, so we only had 2 hours here. 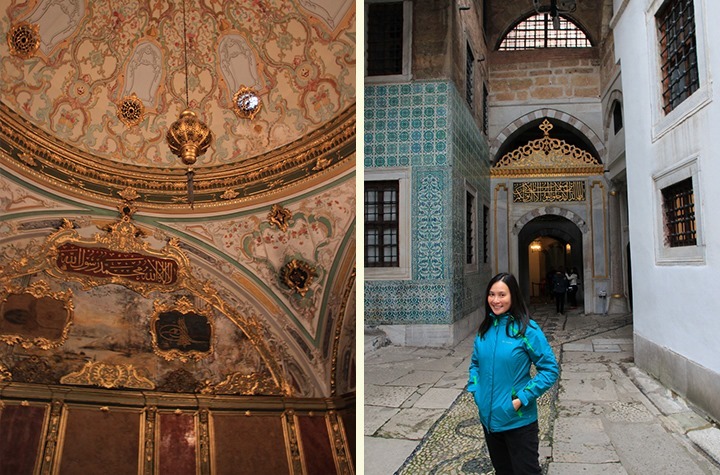 With so little time left, we opted to check out the famous harem, which cost an additional 15 Turkish Lira (~$7 USD). 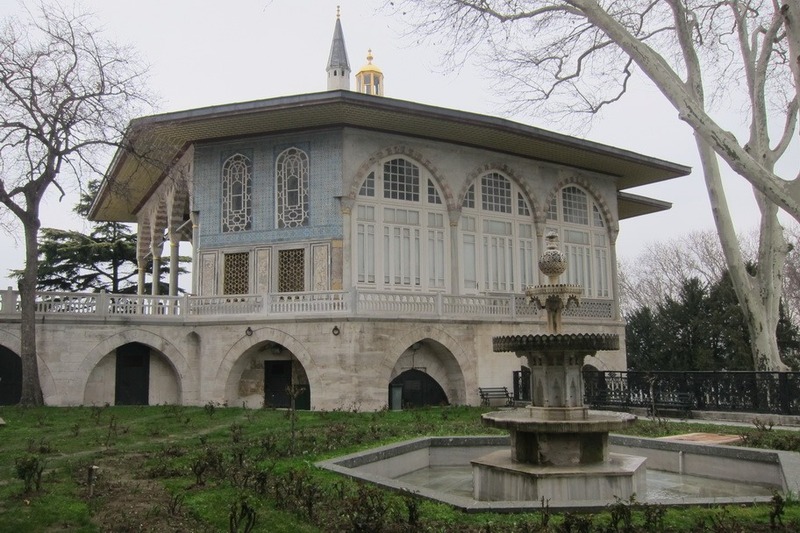 The harem housed the sultan’s mother, concubines, wives, family, servants, eunichs, and other people. 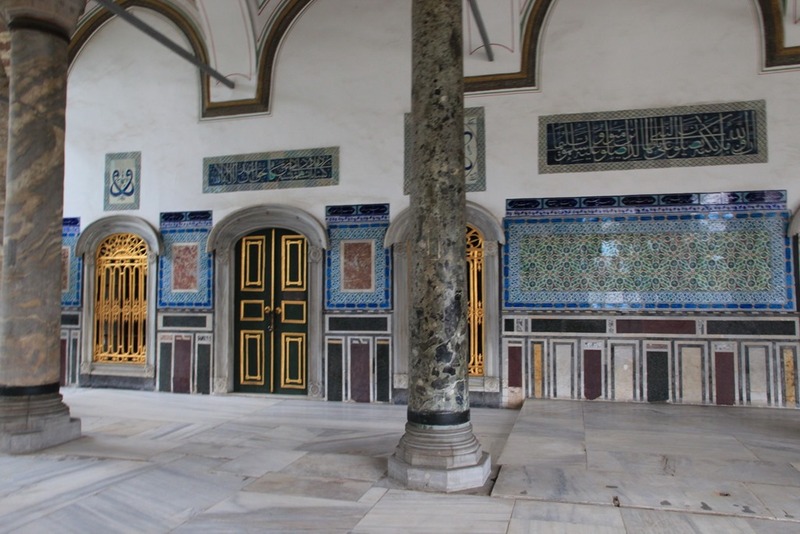 All in all it is believed to have over 100 rooms – phew! 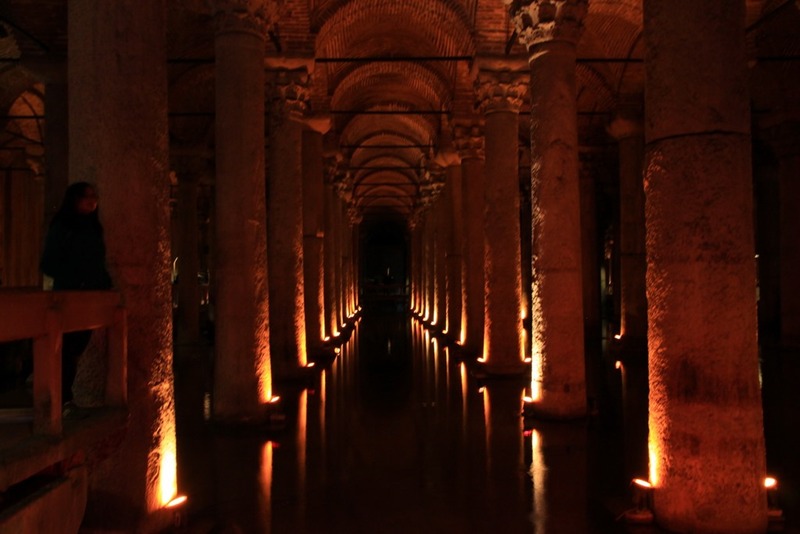 The Basilica Cistern is one of Istanbul’s largest Cisterns, a subterranean structure that was used to hold tens of thousands of cubic meters worth of water. 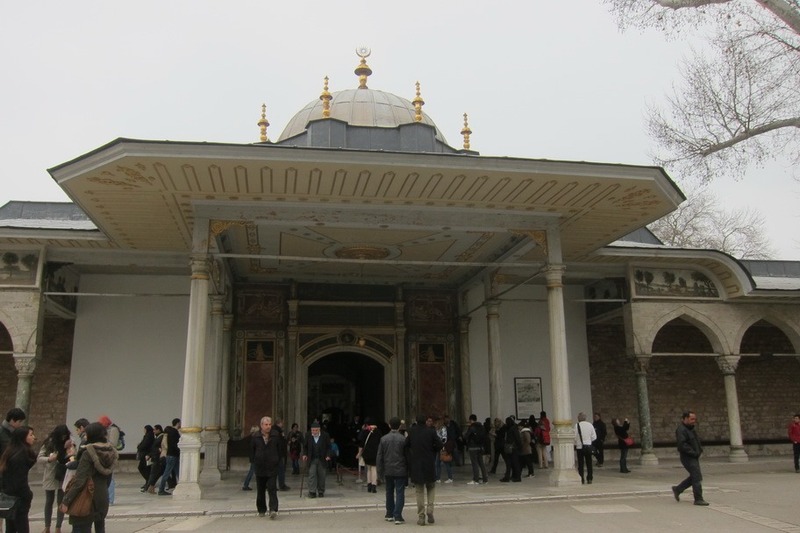 The Cistern was built in the 6th century by Emperor Justinian, and is located only 5 minutes away from the Blue Mosque. 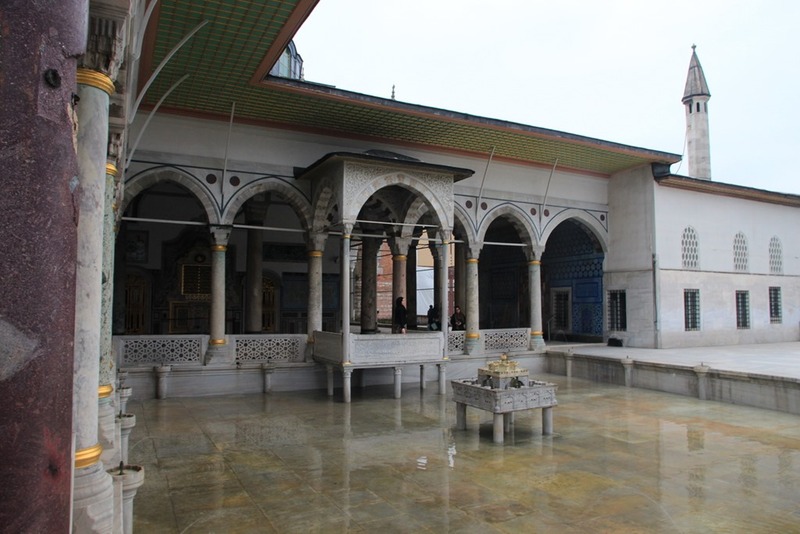 Entrance is 10 Turkish Lira (~$5 USD), and man is it worth it, especially on a rainy day. 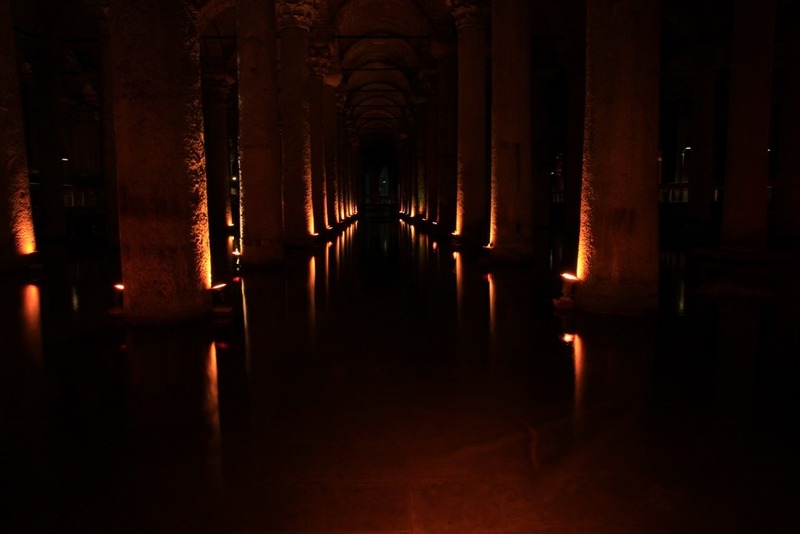 The Basilica Cistern is a massive underground area, at a little over 100,000 square feet, and is hauntingly beautiful. 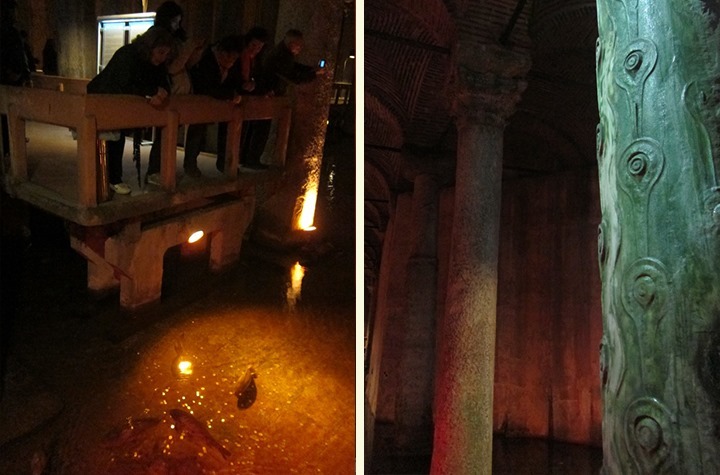 As is in the case in most tourist attractions with a man-made water structure you’ll find two things: 1) koi (or some sort of large fish) and 2) coins in the water. Put that aside, however, and it’s still a pretty sweet structure. 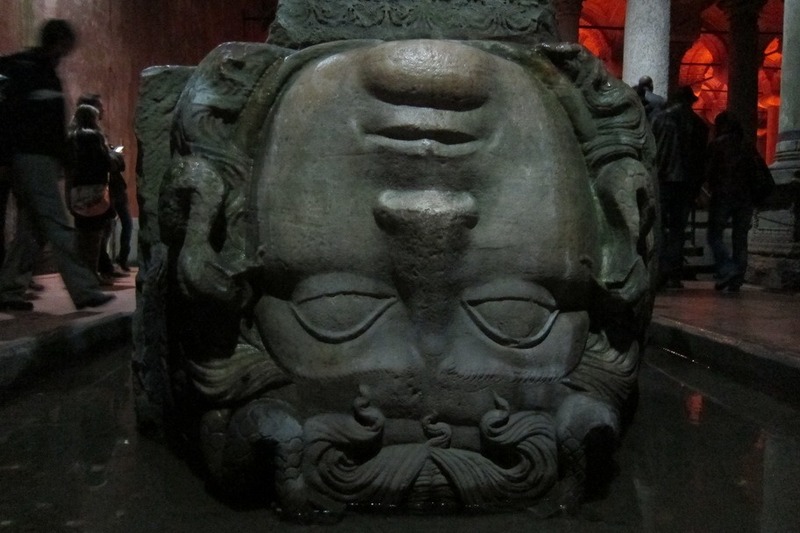 Especially since it randomly contains two giant gorgon heads. 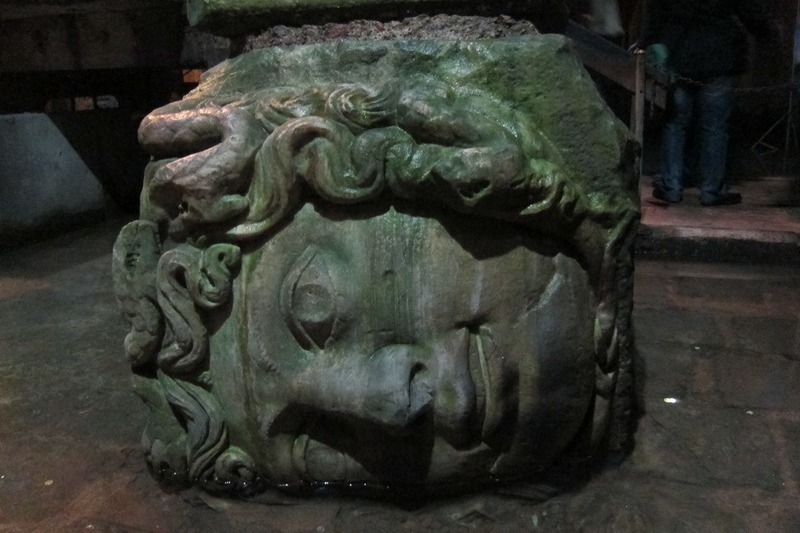 Little is known about the Gorgon heads other than that they were built in Roman times and were likely moved down to the Cistern from another building. 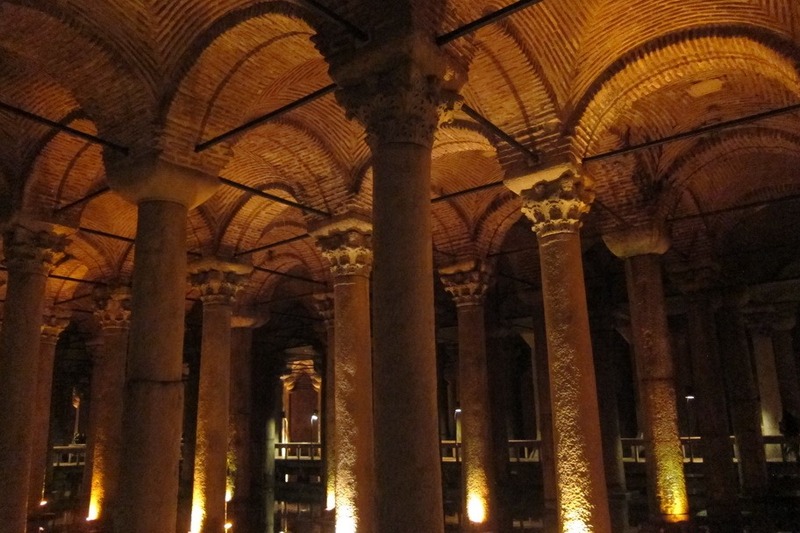 That being said, given how creepy the Cistern is they don’t feel too out of place – just don’t make eye contact! 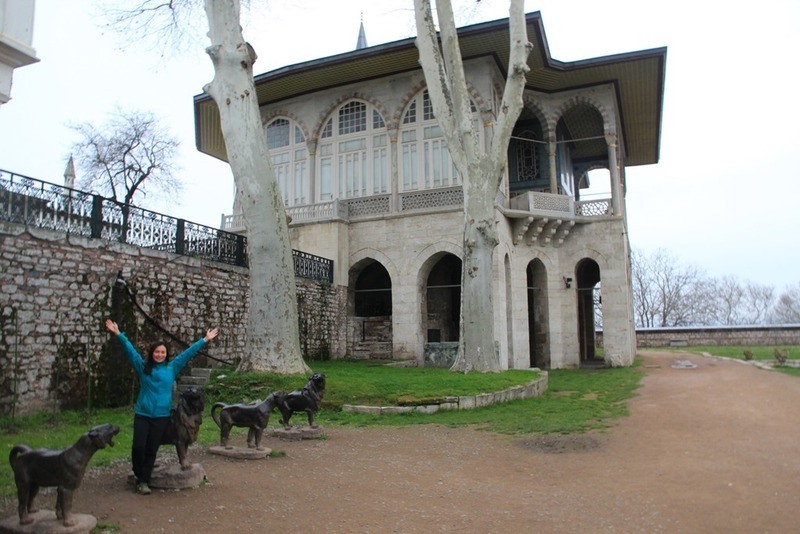 Joins us tomorrow when Mrs. Selfish will talk about our day trip to Istanbul’s Asian side. Thanks! 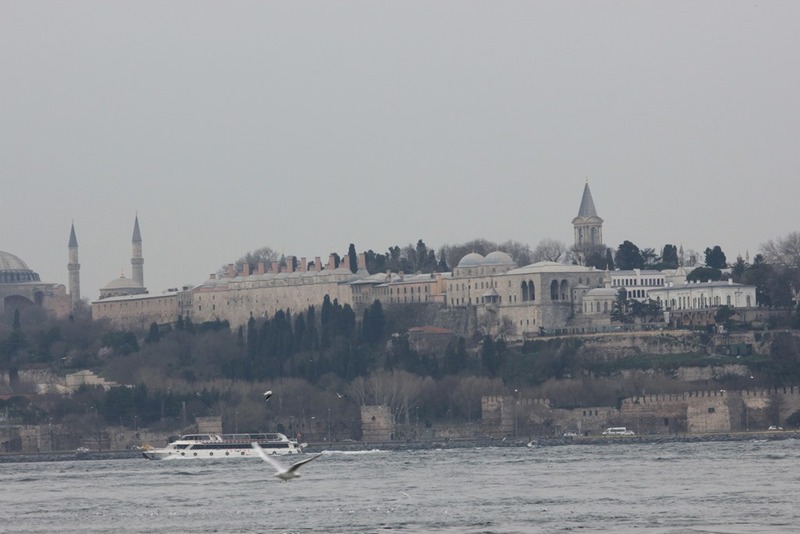 Istanbul is a stunning city. No wonder they keep shooting so many movies there.